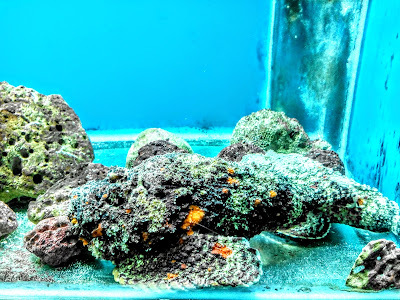 Stone fish in Oceanographic Museum, Nha Trang. The monsoon season is from October to mid December. Sea winds can be heavy, and sometimes the weather can get pretty chilly. Summer, naturally, brings many vacation goers into town and hotel rooms get somewhat more difficult to find. White budda in Long Son Pagoda. National Oceanographic Museum of Vietnam, Admission VND4,000. Open 7AM-6PM. This is like an aquarium with popular and rare species of the sea. A perfect place to bring kids as they will get to see sharks, turtles, coral reefs, lionfish, sea horses, and many other creatures. Long Son Pagoda, Free admission. Open 8AM-5PM. 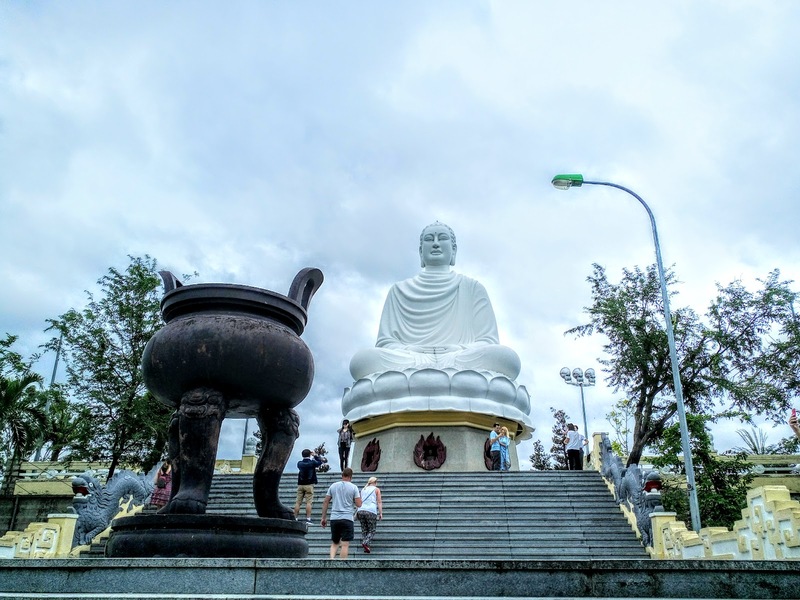 At this pagoda, you will see a 79 ft. tall white Buddha. The pagoda was established in 1963 to honour the monks and nuns who died demonstrating against the Diem government. Also beware that parking for motorbikes and bicycles are absolutely free (signs posted in Vietnamese indicates free parking.) Do not pay the 5,000 dong parking fee to the scammers near the gate. Instead, drive directly in, past the vegetarian restaurant, and park where the security guards are. Getting sun tan on the deck. Po Nagar Cham Towers, Admission 22,000VND. Open daily 7:30AM-5PM. 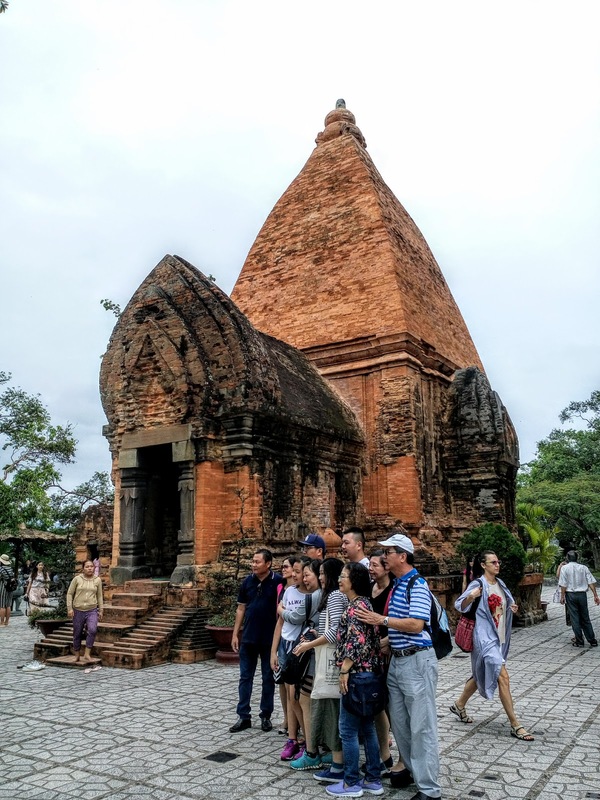 These four brick towers were built by the Cham civilization between the 7th and 12th century to honor Yang Ino Po Ngar, mother of the kingdom, and the incense aroma emanating from within makes it clear that this remains a religious site for the local Buddhists of Nha Trang today. Relax on the white sand beach. The longevity of these last vestiges of a once-dominant South East Asian civilisation should impress temple enthusiasts even if the insensitive restoration and surrounding mass of tourists don't. 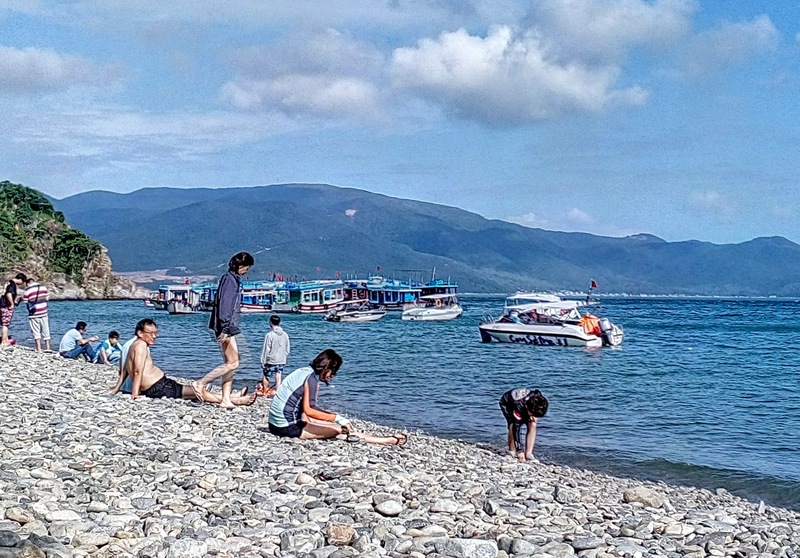 The small complex sits on a hill which enjoys views across Nha Trang's fishing village. 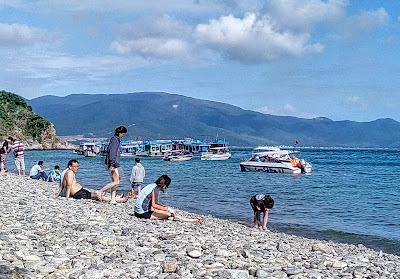 Close off-shore from Nha Trang sit a series of islands that offer decent diving and snorkelling, easily accessible by day trip. The city has about two dozen dive shops, making for fierce competition and great value. 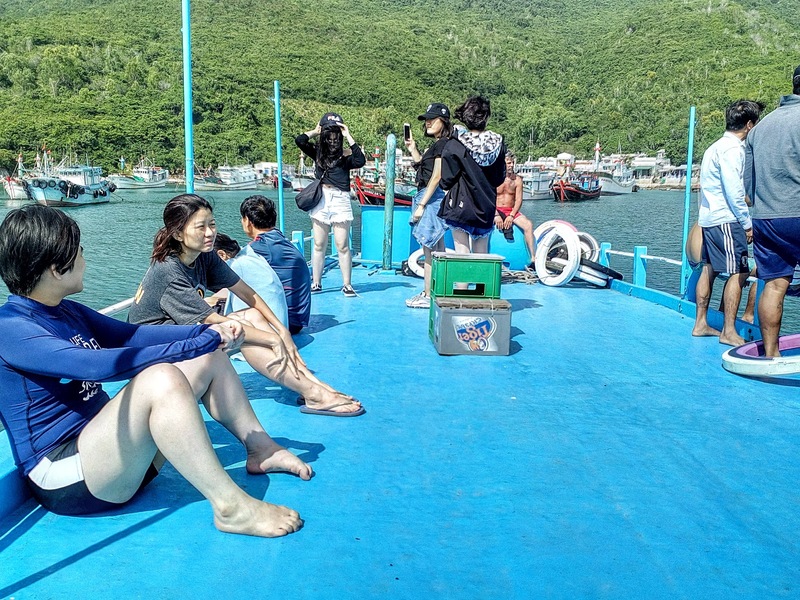 For certification training, Nha Trang offers perhaps the best value in the world, with PADI open water courses available with full equipment rental for as little as US$250. 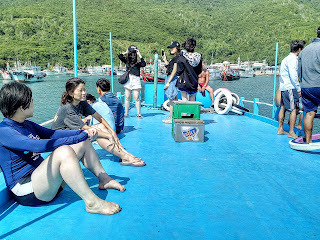 A two-dive boat trip with equipment rental and modest lunch can be had for as little as US$45, also a phenomenal value. If you are a family of 3 from Malaysia, please taking time to visit the following web pages.